Kasturbhai Lalbhai Campus, Gujarat University Road, Navrangpura, Ahmedabad. 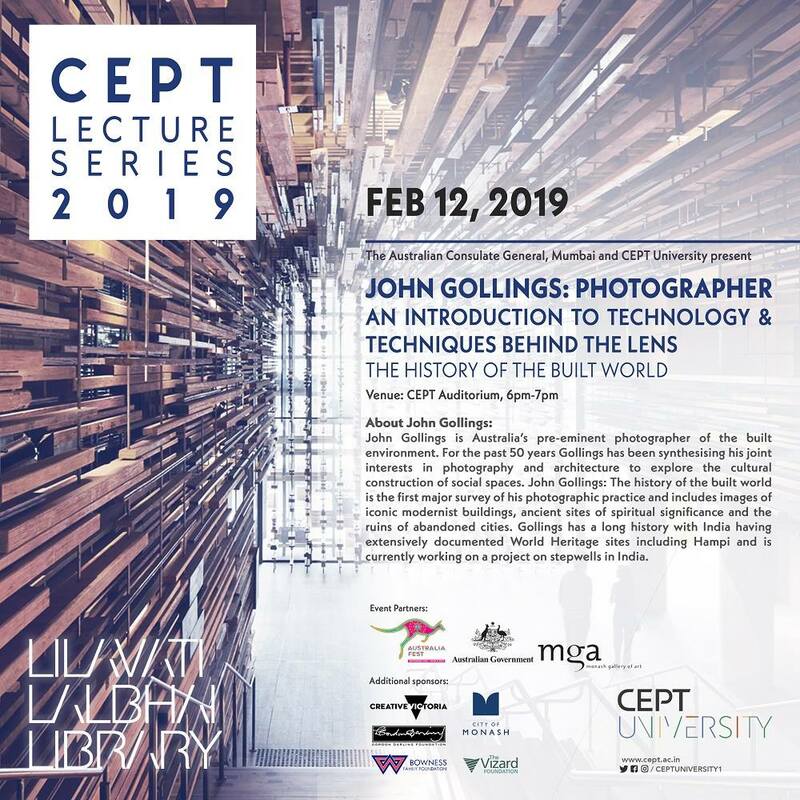 John Gollings is Australia’s pre-eminent photographer of the built environment. For the past 50 years Gollings has been synthesising his joint interests in photography and architecture to explore the cultural construction of social spaces. John Gollings, “The History of the Built World” is the first major survey of his photographic practice and includes images of iconic modernist buildings, ancient sites of spiritual significance and the ruins of abandoned cities. Gollings has a long history with India having extensively documented World Heritage sites including Hampi and is currently working on a project on stepwells in India.